This interview was done in collaboration with Mr. Re of etc. who took photos and helped with editing. Before I even knew how to advocate for myself through Half Access, back in 2014, at the now-extinct Alhambra in Portland, I was attending a Real Friends show in the front row and the band worked with security to make sure I was placed side-stage—safe from the crowd and with a good view of the show before their set began. Fast forward a couple of years and they did it again at the Wonder Ballroom—one of the venues that was a catalyst for me to start Half Access. 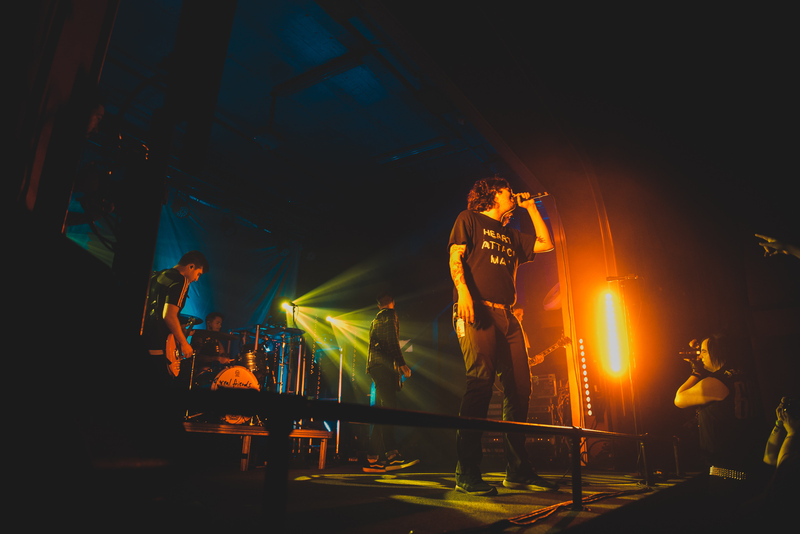 Just recently, I caught them on their headlining tour in support of their new record, Composure, and was able to chat with bassist and tour manager, Kyle Fasel about their willingness to help their disabled fans. As previously mentioned, the Wonder Ballroom had continually been unaccommodating for me—they’ve since made bigger strides in accessibility—but last year I almost gave up on going to shows there entirely, until Real Friends was able to make sure I was accommodated at the venue. This moment made me realize that bands and artists have more power in these situations than I do—the venue wouldn’t help me when it was me they were in contact with, but when an artist asked for accommodation, they complied. It’s so important that artists realize this leverage they have and are able use it for those in need. There’s no denying that things are getting better as far as safety, inclusion, and diversity goes in the music scene. Bands are talking about racial and gender inclusion, sexual orientation, and of course, mental health. On the ability spectrum, mental disabilities are being talked about probably more so now than ever, which is undeniably important. But it begs the question: why is physical disability almost entirely left out of the conversation? It goes back to awareness. 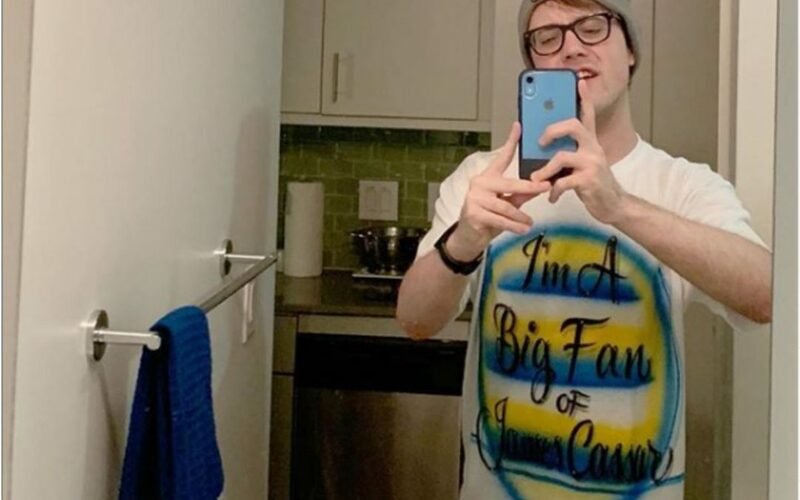 “Three or four years ago, bands weren’t really talking about mental health, but now, you see it all the time. I think there’s a lot more organizations now that helped spark that conversation,” Kyle says. It’s true that many people don’t really recognize a problem unless they see it for themselves. 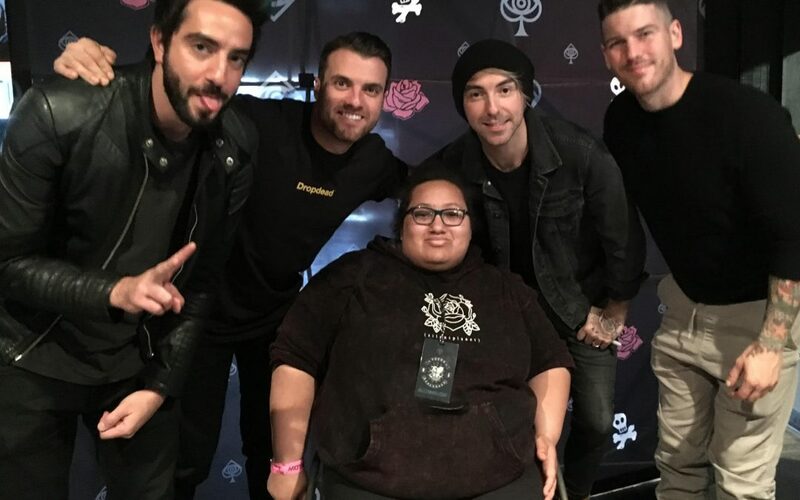 A lot of people don’t even think about physical disabilities, maybe because they don’t see us at shows, which is maybe because we either don’t go because they’re in inaccessible or unwelcoming spaces, or we’re tucked away in a spot where we can’t see and are excluded from the experience. It’s why now is the time to start the conversation that we are people too, and we deserve to be able to see shows safely. 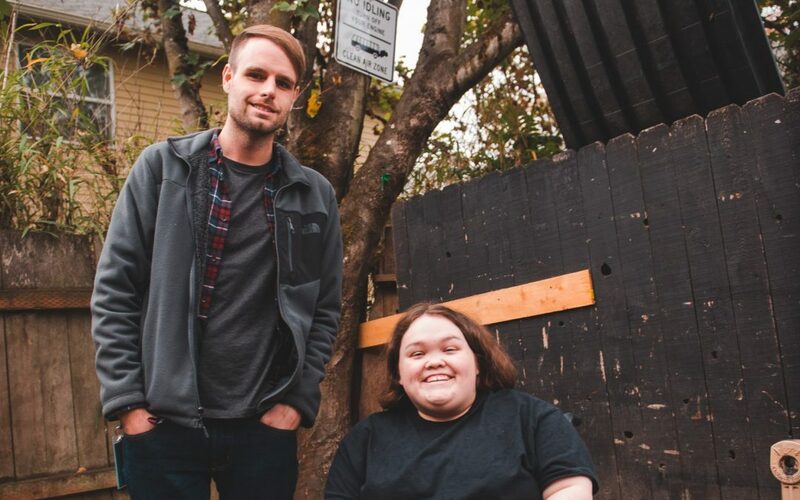 The Hawthorne Theatre in Portland, Oregon (the venue this show was at) has been an absolute pleasure to work with as they have made changes to their setup to ensure a safe ADA section. A formerly no-barricade venue that has now added a barricade with a safe haven on the side for wheelchair-users. I can now safely see every show at the venue and have a good view of the stage. 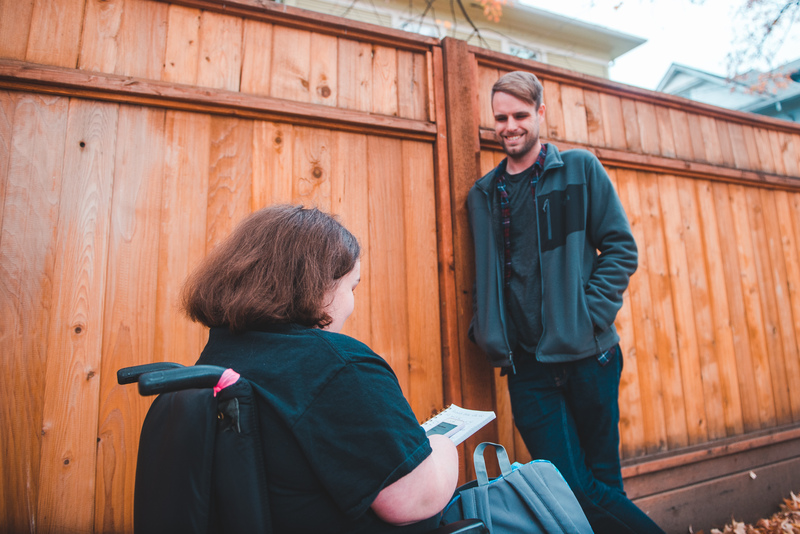 The fact that Kyle took the time to talk with me about accessibility and that Real Friends have made accommodations for me several times shows how much they care about their fans. 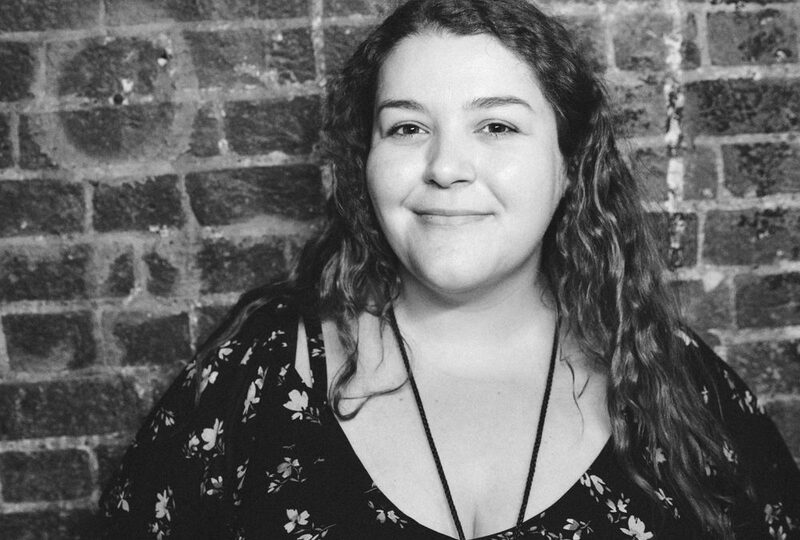 They’re also setting a great example for other artists just as the Hawthorne Theatre is a leading example for increasing accessibility in general admission venues. Accessibility accommodations can often be made out of preexisting resources, it just takes awareness and people who care to make it happen.